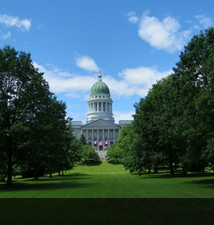 The Office of Policy and Legal Analysis (OPLA) is one of seven nonpartisan staff offices of the Maine State Legislature. It operates under the auspices of the Legislative Council and serves legislators and legislative committees by providing nonpartisan policy and legal analysis services to the Legislature's Joint Standing Committees, to Select Committees and to a variety of interim study commissions. OPLA offices are located in Room 215 on the 2nd floor of the Cross Office Building. Office hours are Monday through Friday 8:00 a.m. to 5:00 p.m. and other hours when the Legislature is in session.